Here are full year sales figures for the year 2012. The trend is looking positive as we head into the kickoff for the spring market. 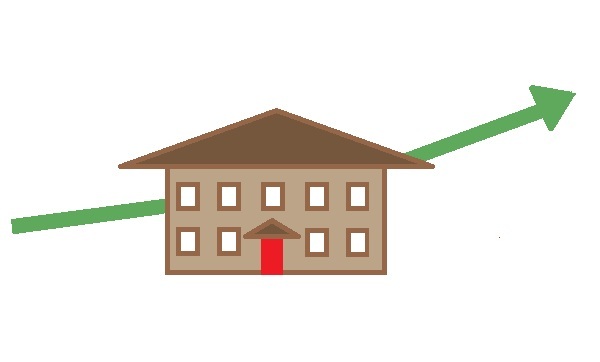 The number of sales is up in both towns and the number of listings is down (Demand increasing and Supply decreasing). 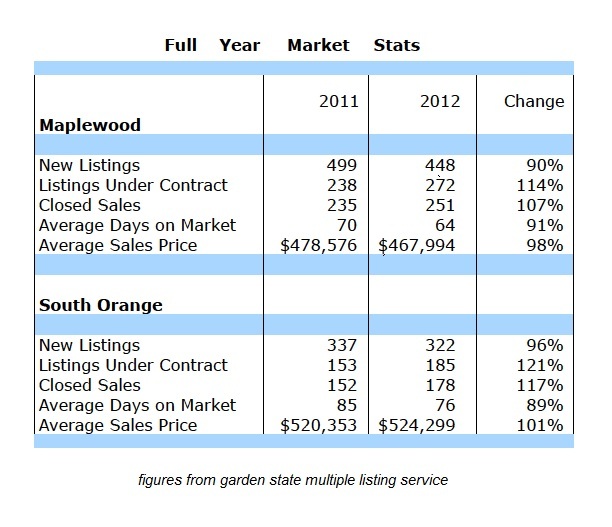 Prices increased slightly in South Orange and are only slightly down in Maplewood. Local figures are far below and see the link directly below for national projections. As mortgage rates are at an extreme low, this could be the recipe for continued improvement. Home prices and sales are usually strongest in the summer as a result of spring contracts closing. However, this year’s improvements are significantly higher than the minor gains seen in the same time period in 2011 and 2010. I’ve been involved in a few multiple bid situations with buyers and sellers this year and a few have gone over list price. * Please note that rising home price average is not solely indicative of ‘generally rising prices.’ It can also be affected by more expensive collection of homes being listed on the market this year as opposed to less expensive homes last year.